In less than an hour, the lights will go out on the final race of the 2012 Formula One World Championship. After an epic season, two drivers still remain in contention for the Driver’s title; Sebastian Vettel and Fernando Alonso. Both are vying to become triple World Champions, but only one will emerge from Interlagos today as the victor. EngageSportMode makes no attempt to deny that its allegiances are firmly in the Red Bull camp. But in case you haven’t quite made up your mind whether to back blue or red this afternoon, here are a few reasons to sway you to ESM’s way of thinking. This is purely opinion; obviously I cannot really measure the motivation of each driver. But from the interviews, body language and on-track attitude I would hedge that Vettel is more bothered about taking the title today. He cares about records, achievements and statistics. It will have galled him to not win his 100th Grand Prix in Austin last weekend. In addition, I would imagine that winning three titles in a row would mean more to Sebastian than them spread out over a number of years. Pundits and drivers alike have criticised Vettel for not being a true racer and only being able to perform from the front of the grid. The 2012 Abu Dhabi Grand Prix blew that argument out of the water, and proved he could overtake and battle through the field. No, it wasn’t perfect; contact with Bruno Senna and the bizarre Ricciardo/polystyrene sign incident certainly slowed his progress. But he still drove from starting in the pit lane, to finish on the podium in third place. Unlike 2011, the Red Bull RB8 has not been an all-conquering behemoth this year. The loss of the double-diffuser setup hurt Red Bull, and it has taken all of Adrian Newey’s skills to get the RB8 back to the front of the pack. It still isn’t perfect; look at the straight line speed differentials between the car from Milton Keynes and Hamilton’s Mclaren last weekend. Massa is very much the number two driver at Ferrari, and knows it. Like the “Fernando is faster than you” message of a few years ago, this season has also seen the Brazilian driver take the bullet to assist Alonso. The cutting of the gearbox seals in Austin last weekend to give Massa a grid penalty and move Alonso to the cleaner side of the grid was a pure Ferrari move. There is no way Mark Webber would ever agree to something like that to help Vettel; the German is very much on his own out on track. In a recent article, 1997 World Champion Jacques Villeneuve revealed he is supporting Alonso to win this years title, as whilst Vettel is quick he believes he “reacts like a child” when under pressure. If you need any assistance as to why you should ignore the views of the French-Canadian, try listening to this. 6. Vettel doesn’t look like a puppet from the Dolmio advert. 7. 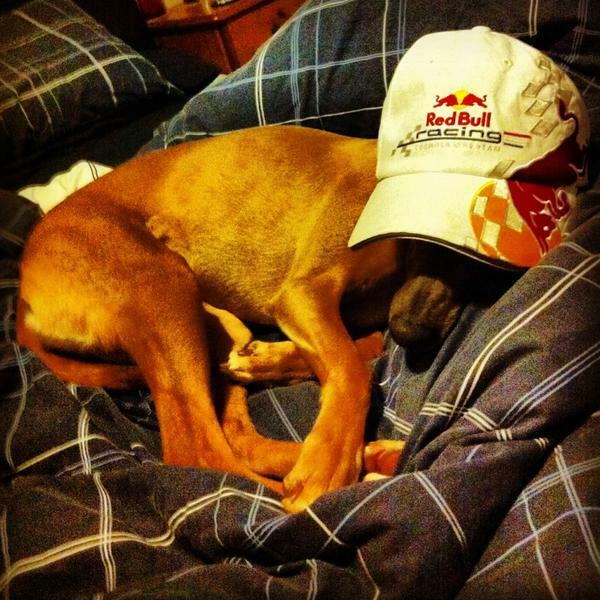 Senna is backing Vettel. So there you have it, seven very convincing reasons to back a certain German this afternoon. Enjoy.